Hello, hello, my dears! How has your week be thus far? I just realized this morning that my one-and-only houseplant hasn't been watered in more than week (oops!). That's the kind of week it's been for me. If you don't follow Parsimonia on Facebook or Twitter, you might not know that I'm in the throes of planning my first show, Spring Fling in the City. It will be taking place this May in Crown Square in North City, and will be full of vintage goodies, handmade items from local artists that use vintage materials, food trucks, a game lounge with Super Nintendos, a photo booth and live music from local artists! The purpose of the show, at least for me, is to celebrate the spirit of revitalization, and Crown Square is the perfect locale because of how beautiful it has become again. The main street with shops has been rehabbed in its original style; there are loads of cute new stores popping up; and the people in the neighborhood are just so positive and passionate about bringing things back to their former glory. It's very inspiring, really. So if you in St. Louis or not far from it, do come out and support local from 10 a.m. to 4 p.m. on Saturday May 11! And if you'd like to be a vendor, I'm taking applications until March 11, so there is still plenty of time to get those in! Now...to the reason we're all here. The goods. Anyway...I finally got around to posting some more items to the online store, still leftover from my last thrifting spree a couple weeks ago. 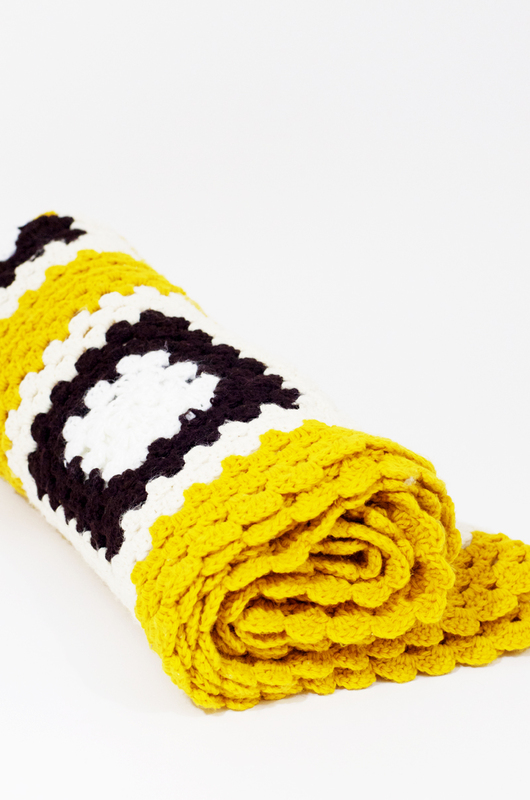 A really cute vintage Granny Square crochet blanket in mustard, dark brown and white. 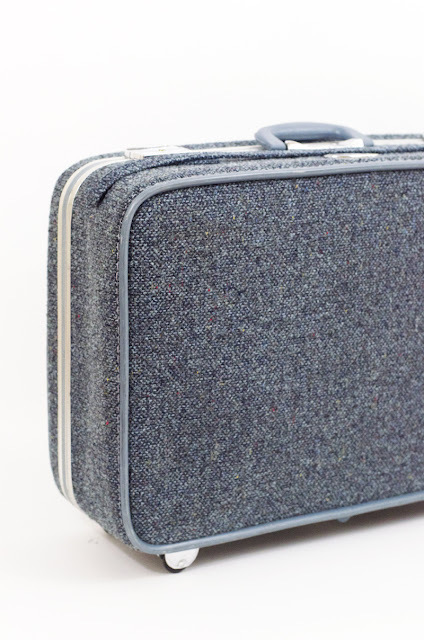 A steely gray-blue vintage Skyway tweed suitcase with wheels. I used to use one in the same size and it fits as a carry-on on Southwest. Still in its packaging, a vintage White House closet organizer with mustard flowers and clear plastic. 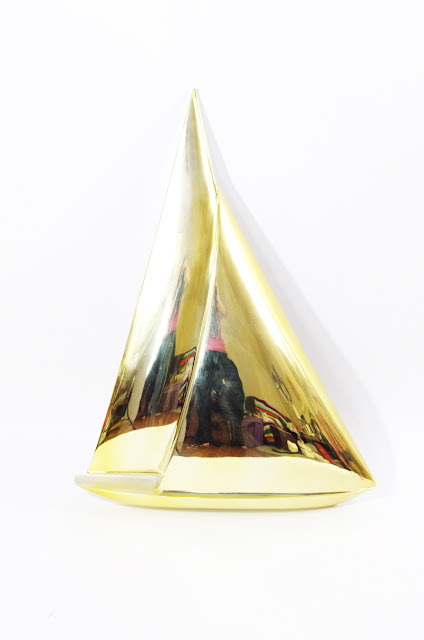 A shiny gold vintage sailboat wall hanging. 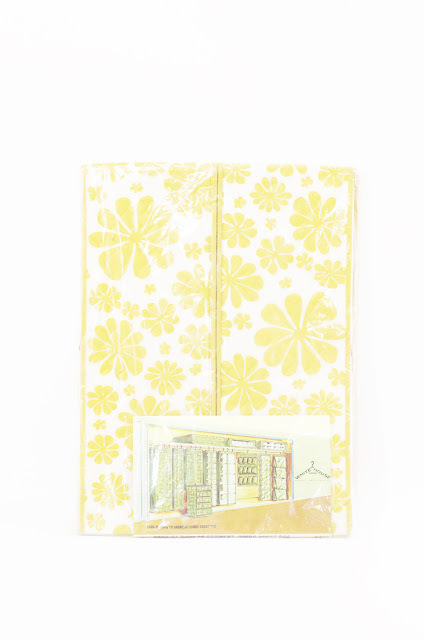 It's plastic and very similar to the Syroco stuff. 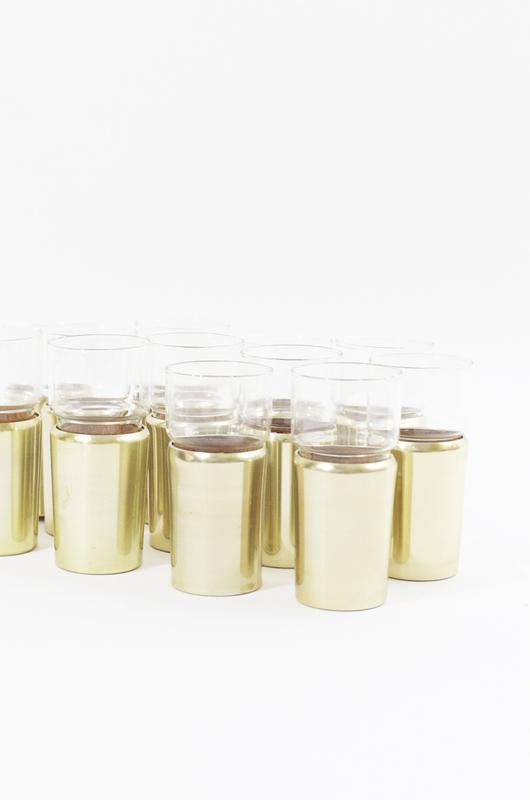 And a really beautiful set of vintage glass tumblers with shiny gold metal cork-lined sleeves. Would look so cute on a bar cart! As always, if you see something you like, click through to the online store for details, and if you're local and want to pick it up to save shipping, just let me know! This vintage glass is so cute. Been wanting to add this one on the bar section of my home now. So great to discover it here. I am a resident of Old North St. Louis (that is the neighborhood where Crown Square is located). Thank you so much for promoting our little neighborhood that could! Looking forward to the spring fling.